Looking for new co-chairs for this event. 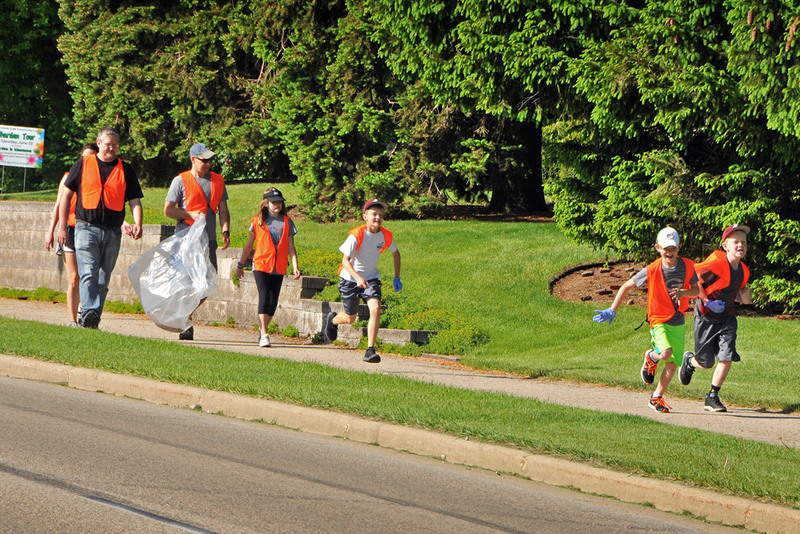 The “Adopt the Highway” program was designed to encourage volunteers to keep a section of highway free from litter. 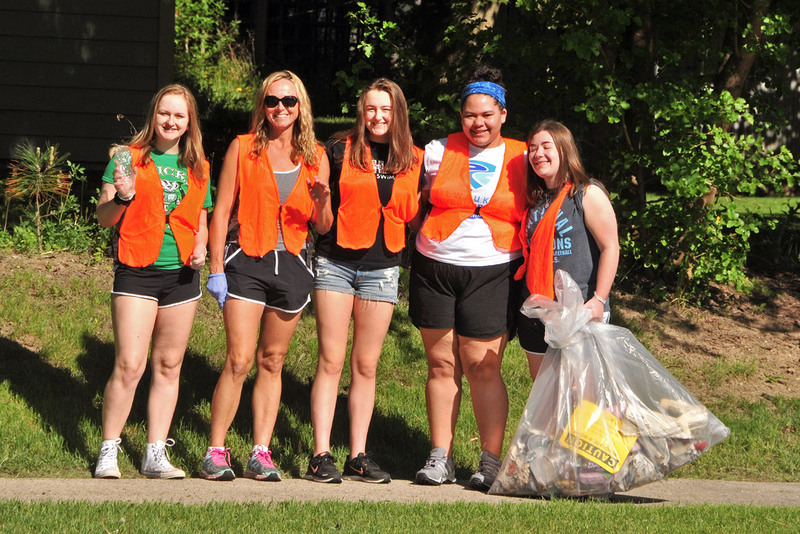 Our Menomonee Falls Optimist Club has sponsored this program for many years. 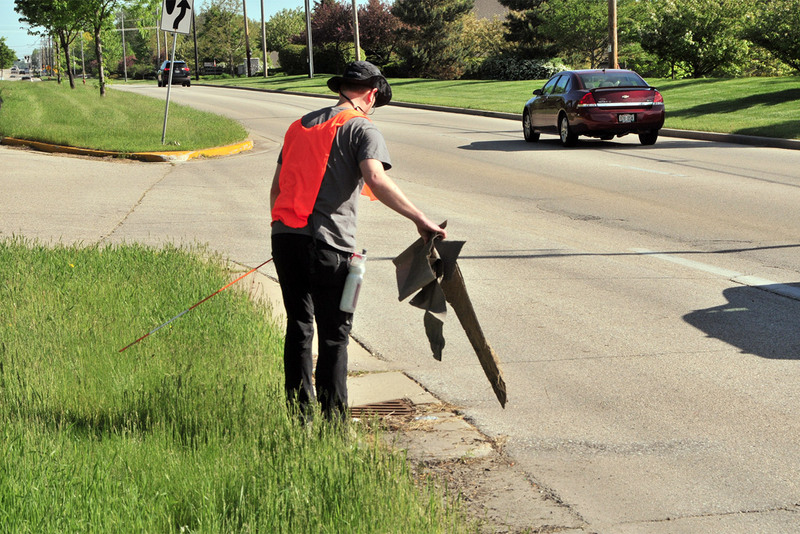 Three times a year we have maintained our assigned road area from Appleton Ave to Mill Rd along the east and west sides of Pilgrim Rd and no medians. We begin after April 1st and must be finished by November 1st each year. Minimum of 10 hopefully 20 people split into 4 groups: Group A parks at McDonald’s and heads south; Group B starts at the church and heads north; Group C begins at the church and heads south; Group D parks in the Sunny Dale subdivision (close to Mill and Pilgrim) and heads north. Each group walks until they meet up with the opposing group, crosses the street, and heads back in the direction they came from. Submit information along with the location of the bags left on the roadside. For the effort, our club is recognized as a sponsor on a road sign at the corner of Appleton Ave and Pilgrim Rd and the fact that we are doing our part with keeping our community roads clean is an added bonus. 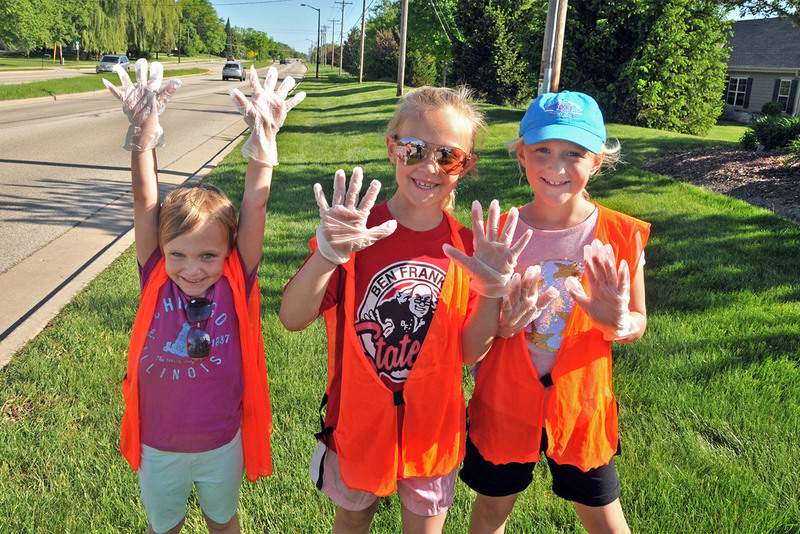 The Adopt a Highway Program allows Menomonee Falls Optimist members to donate approximately 1 hour on a chosen Saturday morning, 2 to 3 times a year, to assist in keeping Waukesha County clean. 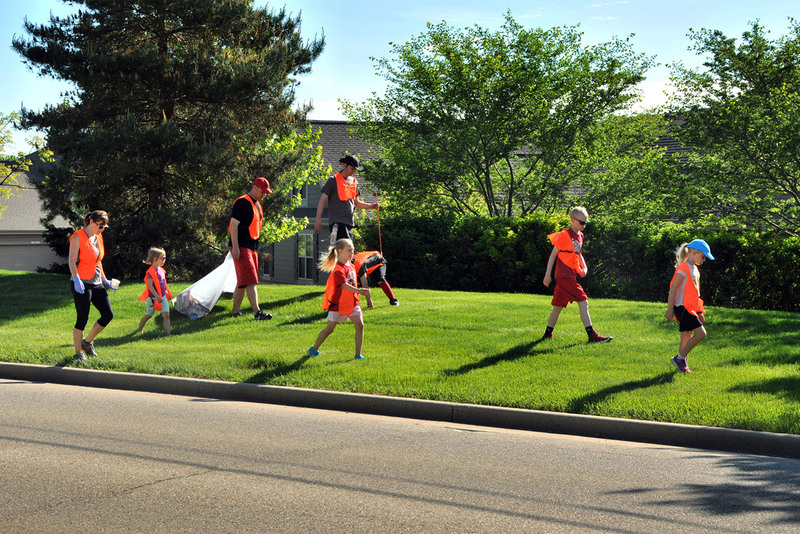 Spring highway clean-up was done under clear blue skies on Saturday, May 26, 2018. We started at 8am and were done by 10 am. 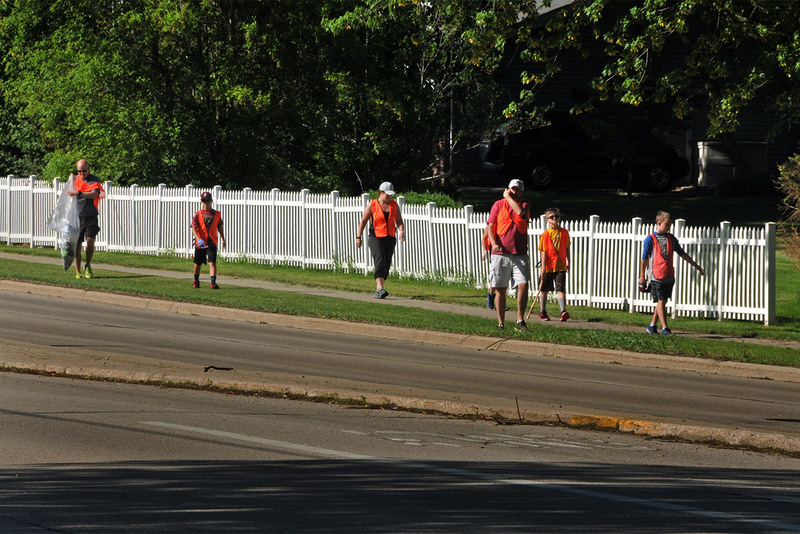 The crew included 25 children and parents from the under 10 Falls baseball team, an Optimist sponsored team. They were led by optimist Terry Fitzimmons and Carl Trapp.